Use a colon to express the hours and minutes in figures. Example: 12:30 A.M. Instructions: Place colons where needed. 1. We will meet at 800 A.M. tomorrow morning. 2. I will be on the plane at 1153 P.M.
3. Which would be better for you, 1000 A.M. or 200 P.M? 4. Be in my office promptly at 1035 A.M.
5. You never get to bed before 1130 P.M.
1. We will meet at 8:00 A.M. tomorrow morning. 2. I will be on the plane at 11:53 P.M.
3. Which would be better for you, 10:00 A.M. or 2:00 P.M? 4. Be in my office promptly at 10:35 A.M.
5. You never get to bed before 11:30 P.M.
For your convenience, all of our lessons are available on our website in our lesson archive at http://www.dailygrammar.com/archive.html. Our lessons are also available to purchase in eBook and Workbook format. 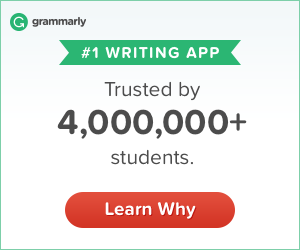 Daily Grammar is a fun, convenient way to learn grammar. By simplifying complex grammar subjects, Daily Grammar can be used for children or adults of all ages and learning levels. By practicing language rules, any person able to read will be able to master English grammar.